Don’t count Donald Trump as a supporter of Rick Perry for Senate 2018 just yet. He’s more of a fight promoter at this point, or — dare we say it — a polished politician. At a fundraiser this week in one of this red state’s bluest cities, someone asked the Republican nominee for his thoughts on a Perry challenge to U.S. Sen. Ted Cruz two years from now. Perry, meanwhile, has been on the Trump bandwagon ever since Cruz got out of the race for president. Everybody here has been on a long and winding road. A year ago, Perry was a presidential candidate calling Donald Trump “a cancer on conservatism.” At the same time, Cruz was the only Republican candidate taking up for Trump, staying close to the celebrity in the race while Perry and everyone else was attacking. Perry got out and endorsed Cruz. Cruz turned his fire on Trump after most of the other Republicans had been flushed from the race. 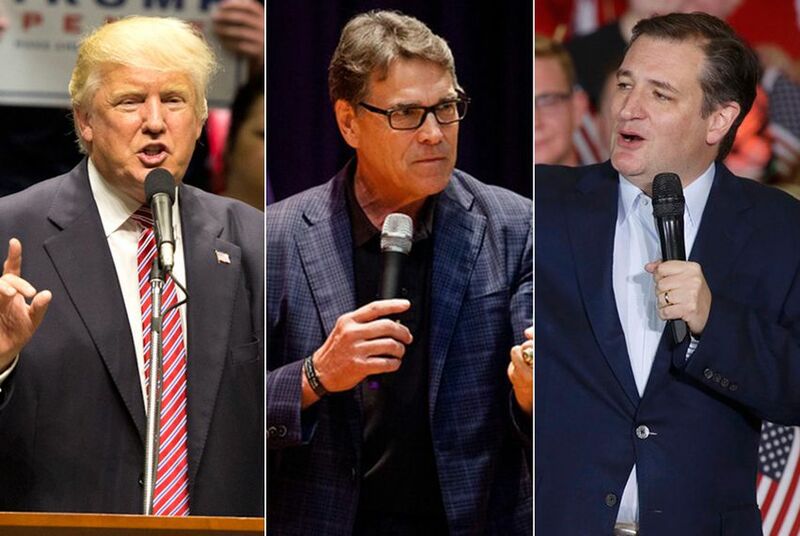 When he dropped out, most of the former candidates got on the Trump train. Cruz famously remained behind at the station. That’s the backdrop for Trump’s remarks in Austin. But what was read widely as an endorsement of Perry was actually well short of one. Someone at the fundraiser asked Trump about talk of a 2018 race between Cruz and Perry — with Perry, but not Cruz, among the attendees. "I don’t know what he’s going to do but you are one popular guy all over, but in Texas in particular," Trump said to Perry, who was nearby. Sure, he’s throwing gasoline on a fire, giving some fuel to speculation that’s flattering to Perry and an irritant to the incumbent. But he didn’t exactly say he’d sign up to help a Perry campaign. He said nice things about the guy who was in the room without saying anything truly aggravating about the guy who wasn’t in the room. He got headlines out of it, too — both inside and outside of Texas. Attribute some of that to Roger Stone and other Trump associates who responded to Cruz’s GOP speech by saying the New Yorker might back opponents to the Texan in 2018. Trump didn’t exactly say he’d sign up to help a Perry campaign. He said nice things about the guy who was in the room without saying anything truly aggravating about the guy who wasn’t in the room. The truth is, only one candidate — Cruz — has said he will be on the ballot for U.S. Senate in 2018. Others have been mentioned without discouraging the mentioners, like Perry and U.S. Rep. Michael McCaul of Austin on the Republican side and U.S. Rep. Joaquin Castro of San Antonio on the Democratic side. All of this makes for a great parlor game. But we’re months away from serious talk. None of the players knows how November will turn out, whether Cruz will be popular or not with Republican voters by next spring, whether any of the potential challengers will be popular, well-financed or ambitious enough to jump in. Trump himself will either be old political news or a busy president when this is a real-time question in a year or so. Things change: Remember what everyone was saying about each other in the summer of 2015. Here’s another twist: If Trump wins, Perry might find the place in the new Republican administration that he has been openly pining for. If Trump loses, Perry might be looking for another way to stay in public service. Maybe he’ll decide to retire after all. For all of the talk about how Donald Trump might hurt the chances for other Republicans on the ballot, Texas conservatives don’t seem all that worried. It’s because they’re on safe political ground. Ted Cruz and Rick Perry are well known across Texas, able to raise money inside and outside of the state, and demonstrably ambitious. The speculation about a 2018 matchup will probably come to nothing, right?